As a result of elections among the voting membership during August 2017, the following candidates have been elected to the Board for 2017-18 with roles and responsibilities listed. To contact a member of the board, please email us, use our contact form or use individual board members email addresses below. David Chidgey has been a season ticket holder in Gate 17 Matthew Harding Upper since 2002 and a supporter for 40 years. 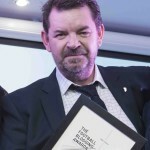 Since 2008 he has produced and presented the popular and award winning Chelsea Fancast podcast as well as being a regular writer for the cfcuk Fanzine and contributor to other print, television and radio media. 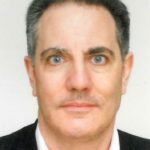 He was the first Chelsea FanCast representative on the Chelsea FC Official Fans Forum and helped to set up the Chelsea Supporters Trust, serving as an elected board member from its inception. David’s primary responsibility on the Chelsea Supporters’ Trust as Chairman is to ensure the mandated motions are progressed, to shape the overall strategy of the Trust and to Chair the AGM, SGMs and Board meetings. In addition his role encompasses being the most visible spokesperson on Trust and Chelsea related issues. David also retains his role in dealing with the Trust’s public relations, media and communications. David can be found on Twitter as @StamfordChidge. Press and media enquiries can be emailed to David here. First attended CFC in the late 60’s but regularly since early 70’s. Two sons have been going with me since mid to late 90’s. Season Ticket holder in Shed Upper. Away season ticket since they began! Helped to set up the CST and firmly believe it is the way forward. Still drinking in the spit and sawdust pubs in the rough end of the North End Road! No to gentrification! David is a Chelsea Supporter! Third generation Chelsea fan. My Grandpa first went in 1922.. My Dad in the early 50’s, I was still in a buggy for my first game & started going regularly in 1983. 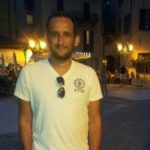 The FA Cup in 97, our first premiership title & the champions league win are my all-time favorite moments, before that it was the full members cup win, my visit to Wembley! Kerry Dixon was first Chelsea hero & I am a regular guest on the Chelsea fancast. Chris attended his first game in 1970 and started coming regularly from the mid 1970’s onwards. The period from 1983-88 was a special time where he only missed a couple of games. This was followed by a period between 1988 and 2000 when he worked in Africa and the Middle East where he was only able to make a handful of games each season. Since his return he has held both home and away season tickets and currently sits in the Shed Upper. Brought up by a Chelsea supporting father who’s stand of choice was The Shed back in the 70’s, my first game was in 1997 against Leicester (the last minute winner from LeBoeuf). I run the We are The Shed group which is a supporter led initiative aiming to bring the atmosphere back to The Shed End, as well as create displays before kick-off. 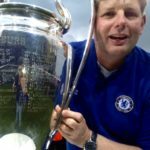 For the Chelsea Supporters Trust my key focus is the atmosphere at Stamford Bridge (in both a visual and vocal capacity) and I encourage anybody that wishes to share ideas, thoughts or generally discuss the topic with me to get in touch. or via board members individual email addresses above.